The other night Miss K and I decided to have a quick dessert at Meet Fresh, a Taiwanese dessert chain that’s quite popular and serves up an array of delicious sweets at a reasonable price. 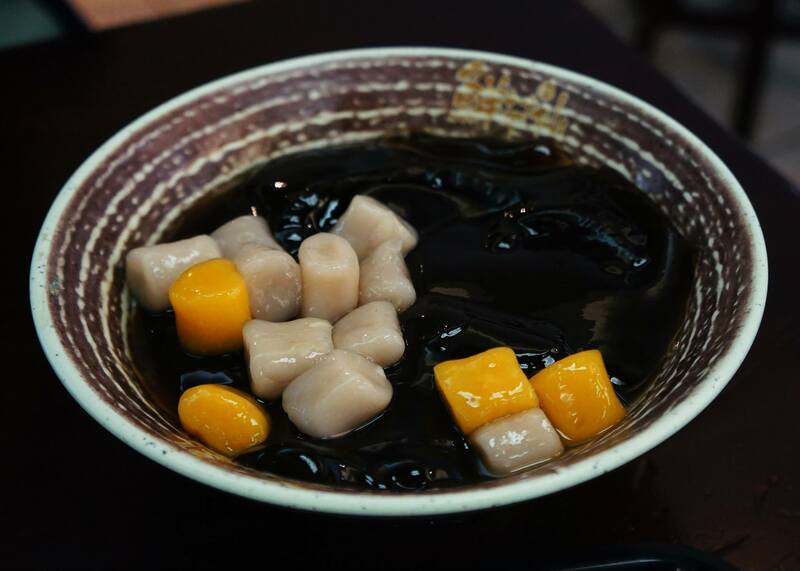 The more popular items are the herbal jelly and taro ball desserts which are also wildly popular staple desserts in Taiwan. 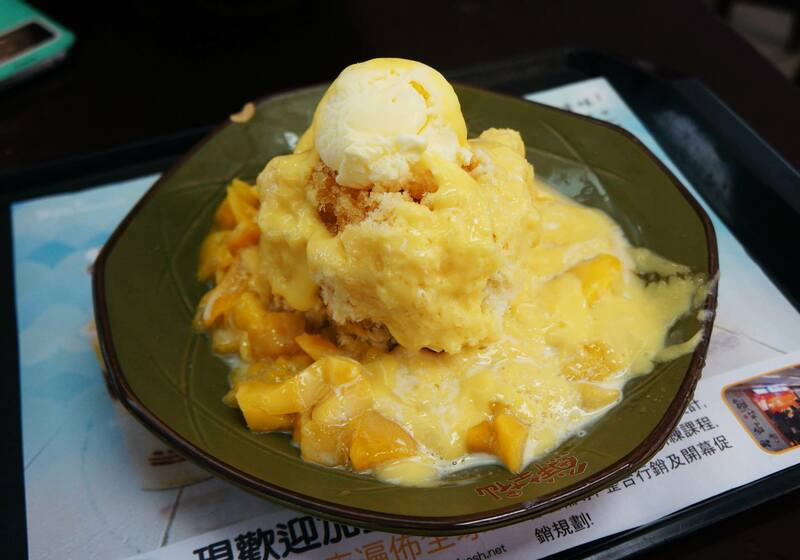 Miss K decided to order the Supreme Mango Crushed Ice (above) which is one of their special dishes, the whole thing is basically a massive pile of shaved ice with slices of mango and ice cream on top. Miss K loves mango so this was the perfect dish for her and she definitely enjoyed the dessert. My pick for the night was the Signature Herbal Jelly (cold) which consisted of herbal jelly, shaved ice, taro balls and milk/cream. The dessert itself is icy cold and very refreshing because of the sweetness and creamy texture so I usually go for this every time I visit. The best part of this was definitely the shaved ice which I’ve always enjoyed in other desserts such as the Singaporean Ice Kachang which is quite similar. 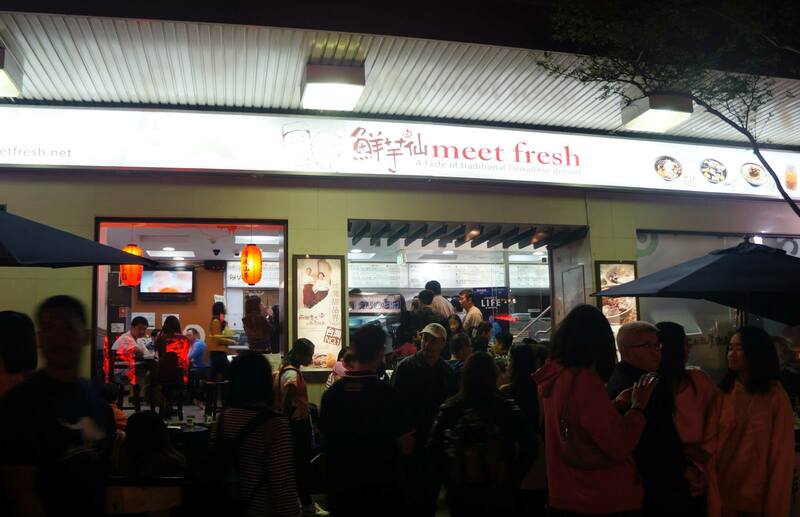 I’d like to think of Meet Fresh as a fairly unique dessert chain, unlike the others they serve a kind of regional dessert that’s not found anywhere else. Most of the desserts aren’t even served in Chinese restaurants and most definitely not for something this well priced (approx $6-7 each). Meet Fresh is definitely a must visit if you like anything sweet, and especially if you enjoy asian desserts. my go to dish is always signature herbal jelly number one!